Quilting Celebrations branded USB collection SALE - 55% off! Machine Embroidery > As seen in Quilting Celebrations magazine > "Quilting Celebrations" branded USB collection SALE - 55% off! "Quilting Celebrations" branded USB collection SALE - 55% off! 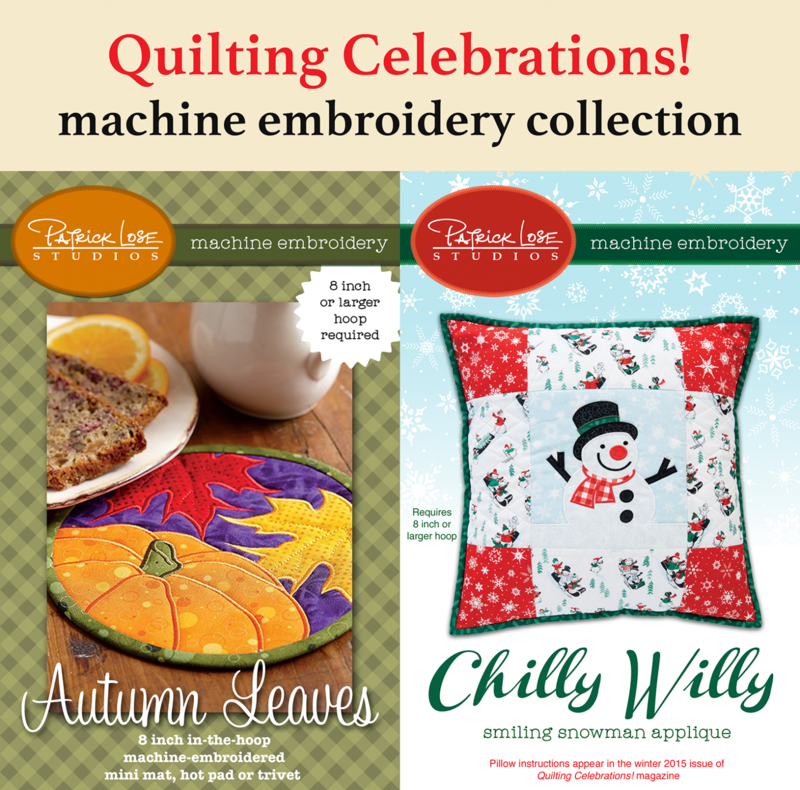 Purchase the entire collection of the machine embroidery designs seen in "Quilting Celebrations!" magazine, on PLS branded USB, at approximately 55% off of the retail price for the individual designs! Actual price of all designs included is over 380.00. For a limited time, this collection is now being offered at 169.99. You'll receive all of the designs offered on the previous page. Click here to see everything included in the collection! You must have an 8 inch or larger hoop for some of these, so be sure to check the measurements of each design. More than 75 individual Patrick Lose designs! Due to the size of the combined files, this collection is not being offered as a digital download. You are purchasing embroidery files, only. There is no instruction on how to do machine embroidery or how to create the magazine projects using these embroidery files. You must have a knowledge of how to use your embroidery machine and how to download the files and load them on your machine or into your embroidery software.